DNA testing is now available for everyone and it can be used not only for determining kinship, but for issues related to health and lifestyle, such as obtaining a fully personalized diet based on DNA. 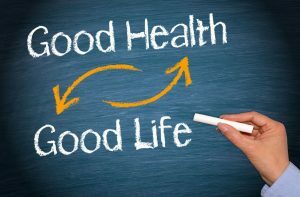 In the last few years, scientists have paid increased attention to the ways in which our genes influence our health and they have discovered that our genetic code determines not only the illnesses that we are prone to, but also the types of food and ingredients that are good for us and have used advanced testing methods for determining the optimal diet. The technology that not very long ago belonged to realm of science fiction is now becoming widespread – more and more companies provide DNA testing services to optimize the patient’s diet, helping them not only to adjust their weight, but to stay healthy as well. When it comes to the right diet, there is no one-size-fits-all solution – eggs, for example, are generally considered to be healthy, low-calories ingredients that should have an important role in any healthy diet, but even so, your genetic test might reveal that they are not good for you, that your body cannot digest them properly or they just don’t have any positive effects on your body. The diet based on DNA offers you insight into these otherwise hidden aspects of your biology and they use the analysis of the body’s most basic molecule, the DNA, to determine the composition of the ideal diet. There are many companies nowadays that provide DNA testing services for the purpose of determining the right diet – it is enough to enter a query into your internet browser and you will find at least one service provider in your area. The best providers of DNA testing services for diet optimization send their clients a test kit with which the clients can collect DNA samples in the comfort of their home, without having to travel to a laboratory. The samples are then sent to the company where they are analysed considering dozens of different biomarkers. Following the detailed analysis of the results, the client receives a list with the foods that are recommended and another one with the foods and ingredients that are counter-advised. The testing companies work with doctors and nutritionists who can provide the client with further guidance based on the personalized nutrition profile delivered after the analysis of the client’s DNA sample. To make the client’s journey toward health even easier, some companies provide meal delivery services as well, creating delicious meals based on the client’s personalized dietary recommendations and delivering the meals to the client’s address. This great, modern solution for a healthy and personalized diet is much less expensive than you may think. The price for the testing process is usually in the hundreds range – the nutritionist-assisted process of further diversifying the diet based on DNA is available for extra fees and so are the meals delivered.